Worldwide, the number of disasters has increased in frequency the last 20 years. Disasters cause loss of lives, destroy valuable investment and threat a sustainable development. Climate change will result in even more intense disasters in the future. 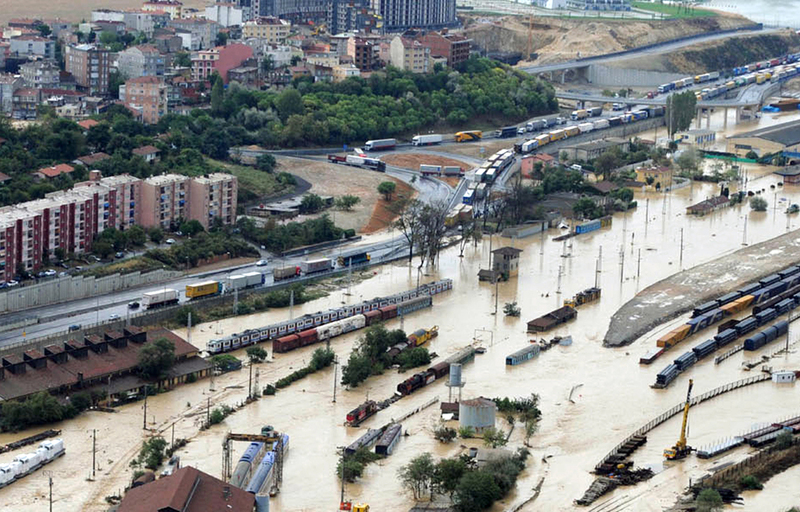 Albania, Bosnia and Herzegovina, the Republic of North Macedonia, Montenegro, Serbia, Kosovo* and Turkey are disaster prone countries and face multiple natural hazards such as floods, earthquakes, landslides, wildfires, heat waves and drought. Enhanced disaster risk management capacities to prevent risks and increase resilience would save lives, secure investment and ensure sustainable development. The needs to further strengthen capacities in the field of civil protection and general risk management in this region, and coordination both within the region and with sister agencies in EU-countries, was recognised by EU Member States and the European Commission through dedicated projects within the Instrument for Pre-accession (IPA). In this framework, the Programme for Disaster Risk Assessment and Mapping (IPA DRAM) further contributes to enhance the capabilities of the partner countries to strengthen disaster risk management by creating an open platform for the development and improvement of national disaster loss databases, enhancing the coherence among the national systems and methodologies, and consistency with existing EU regulations, guidelines and good practices. International Centre on Environmental Monitoring (CIMA Research Foundation). practices, in particular including identification of risks of cross-border and regional aspects. Result 3: Further developed and improved national and regional risk mapping, and establishment of the Electronic Regional Risk Atlas (ERRA). The perspectives of environment, gender and civil society involvement will be taken into consideration throughout the full programme cycle in order to achieve effective and sustainable results. Local ownership and participation is a key principle for successful and sustainable results and will be ensured through the active involvement of partner agencies and experts from the outset of the project, starting with comprehensive dialogue in the inception phase and participatory fact-finding missions. Having a multi-stakeholder and inter-agency approach to the planning, design and implementation of activities will ensure a holistic understanding of needs, capacities and assets allowing for a comprehensive approach to developing disaster risk management capacities in the partners. both horizontally between sectors and institutions (including private sector and civil society) and vertically between local, national, regional and global levels. While ensuring a regional approach, the programme also recognises that each Partner is unique and the support to the partner countries will be adapted to the level of each and every country based on the progress made.